THE WILMYWOOD DAILY – 01/05/2015 Sleepy Hollow, The Razzies and More. Welcome to the 1st Monday of the New Year! Woo Hoo! First a big shout out to Beth Dawson (along with her peeps), who has been working her tail off getting together a resolution from the New Hanover County commissioners in support of the state’s film industry. They will be talking about that today at the 4pm meeting. There are 9 days until the long session begins in the General Assembly. Sleepy Hollow resumes filming today. They will be downtown. AND FINALLY a new Sleepy Hollow tonight at 9pm on FOX! Almost here! Under the Dome‘s office peeps will be making a comeback in a few weeks. Looking forward a great season 3! 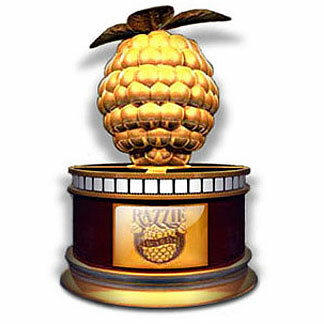 The nominations for The Razzies, honoring the worst in film, have been announced. And OUCH! We kinda knew this was coming though, no matter how much fun you had making the film, Tammy! Up for WORST ACTRESS is Melissa McCarthy. The nomination for WORST SUPPORTING ACTRESS goes to Susan Sarandon. Nicholas Sparks is doing a book signing for The Longest Ride signing at Sams Club in Gastonia, NC on Saturday, Jan 10th at noon! Road Trip! AND ICYMI, here’s the trailer for The Longest Ride. THE WILMYWOOD DAILY – 12/22/2014 The final report of the year. Big things are coming, but some things must come to an end.